Here is your chance to first hand information on how elves see us and our world. Enjoy! Today I want to introduce you to Addi. 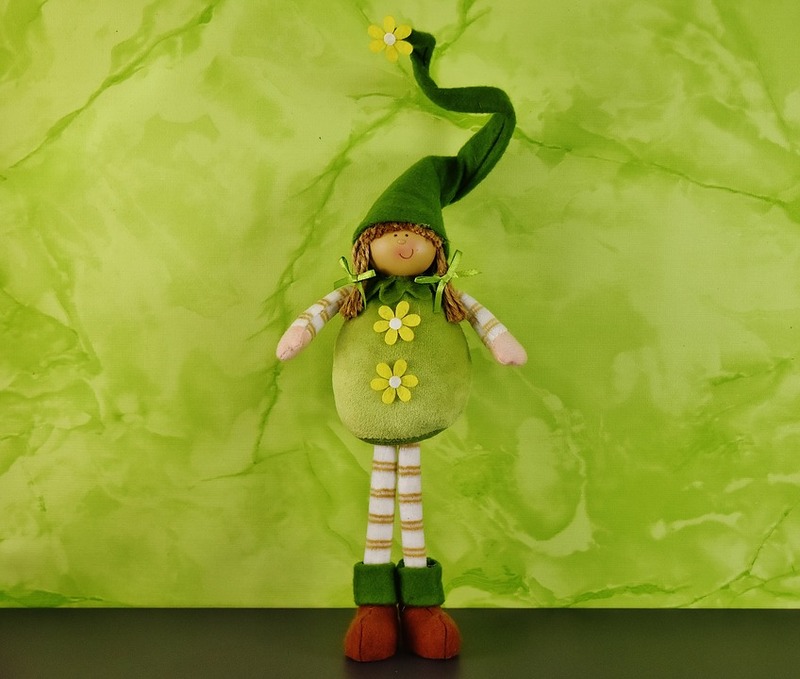 Addi is an elf and lives both on Kopavogur Álfahóll near Reykjavík in Iceland and in an elf dimension. He is so happy that he can share his views in this blog-article. “Hey, my name is Addi and I belong to what you call Huldufólk. Finally I get the chance to speak to you. Thank you Inge for giving me a voice here! We demand equal rights for elves! We don´t understand why you trampling humans keep on moving big chunks of earth around to create flat and angular surfaces that are very unnatural and simply hideous. You level our homes and fill our beautiful ponds! Are you aware of the damage you do and how much energy it takes to stop your machines? We are not happy even if we do have fun playing with your equipment. It would be great if you could stop the box building nonsense and show a little more respect for our places and homes. We need to be equally seen and talked to! It is not difficult to speak with us, it is just different from what you are used to. You only have to widen your awareness a bit to be able to communicate with us. Your eyes are perfectly fine and you only need to alter the way you engage your adult brains a little. Most children can see us. It is a shame that a lot of grown-ups have forgotten how to perceive us. Why would anybody want to limit himself so severely and cut himself off from such a big part of their reality? There are some of you who do make an effort. But they are not taken seriously and laughed at even though they could teach you something. I dare you to be a little more open-minded and I assure you it does not hurt at all. It might even open your mind for new possibilities. Multiple dimensions intersect in Iceland and the veils between them are very thin. This enables us to live in more than one place. Sadly you do not recognise how much work we put into that. I don´t understand why grown people are scared and run away when they do see us. We are no danger to anyone. I assure you that this is going to happen more often now. The veils between the dimensions are thinning and we are working on making it easier for you to notice us. You need not be afraid; we love to play and creat fun things. Something many of you seem to have forgotten. This is such a shame. What else do you believe your life is there for? We love Iceland as many of you do: People yearn for the clear crisp air and open landscape. They cannot pinpoint it but they feel drawn to the promise of new possibilities and adventures because they can connect with a part of themselves that they seem to have long forgotten. But you can meet us everywhere should you want to connect with us. You can find us in your favourite places in nature, for example. Just sit down and connect with us in consciousness, we will listen to you. Wouldn´t this be fun? We can offer you another way of seeing the world: Through the eyes of us elves. Together we could figure out ways to express equal rights for everything that is. We can show you ways to help heal your earth, which is in desperate need of help. We are all part of the bigger picture and we can all contribute. Thank you Addi for your open words. It has become normal for me to have elves zipping around my home and garden. They simply are part of our lives. But okay, I am a key figure in the Fairy Tale Dimension after all. Dear reader: Where is the place you can best connect with elves? Ég hlakka til þess að heimsækja undurfagra Ísland aftur. 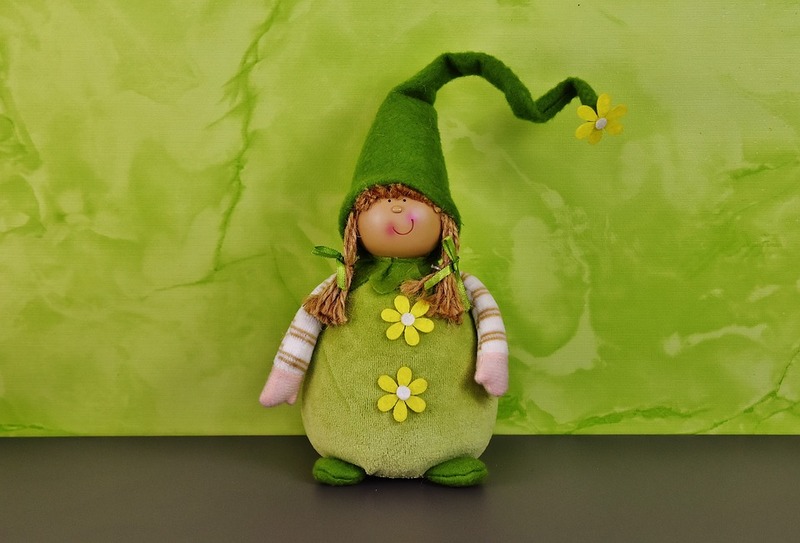 Author SunnyIngePosted on February 8, 2019 February 7, 2019 Categories Adventures here, Behind the ScenesLeave a comment on Equal Rights for Elves! Regular readers of the Fairy Tale Dimension blog are used to exploring a dimension that is not ours, but is just as real. Just by entertaining the idea that this dimension could exist we widen our awareness. Today I go one step further and invite you to accompany me into the world of perception and the role our senses play in our changing reality. You have probably searched in vain for keys or a document. Sometimes it takes a long time to find them or they reappear at unexpected places. In my household this happens a lot. One pair of kitchen scissors has disappeared twice in 6 years: One time for 2 years and one time for half a year only to be rediscovered somewhere strange. On a holiday a few years back our hairbrush vanished from my backpack. We searched everywhere and concluded that it was lost. We continued the trip and in the evening my daughter found it in the same backpack we had emptied before. This is when I started to think that there was more to these displacements. I was not amused when my driver´s licence went missing and I applied for a replacement document. A few months later the old one reappeared at an unlikely place. An octogenarian friend of mine displaced one shoe a few weeks ago and had help searching only to find it at an obvious place days later. This was the first time something like this had happened to her. I tried to explain that this could happen more often in the future and that it does not mean that she was developing dementia. She said that she understood my words but did not get the concept. It was too strange for her. I guess you have to experience this more often. How about you? Have you had experiences with things mysteriously disappearing and reappearing? Please share in the comments! Where does our stuff go? I don´t know. It definitely is not here in any more. If I search with other people, to get a more objective picture, and cannot find it, it definitely is not part of our reality any more. Perhaps we have finally found an explanation for the heaps of solitary socks in our drawers? The most efficient way to handle these occurrences is to keep calm, order your stuff back and then forget about it. Frantic searching won´t help. Most things will reappear sooner or later. I believe that this displacing of things will be happening more for everybody. We are showing ourselves that our reality is not fixed and that we are able to manipulate it in more ways than we think possible. I know that I am not always aware of what I am doing energetically and then these displacements happen more often. We are firmly rooted in our reality and that is a good thing. We have basic agreements with each other on what our world looks like. The house we live in and the streets we walk every day stay the same because of these agreements. Our brain is used to tune out things it deems irrelevant. Thus we thankfully have a permanent filter that makes us more efficient because we can concentrate on the matters at hand. Sometimes this filter has holes. People who suffer from dementia lose their firm roots in our collective reality and let go of the agreements. This is why they see things that don´t belong here. A friend of my mother-in-law who has Alzheimer´s told me that she does not share the strange things that she sees any more because people think that she is crazy. For example she suddenly sees a pig running across the street. This pig is very real for her. We don´t see it because it does not belong in our reality. It could be part of an alternative reality or another dimension. This has interesting consequences: If aliens would land in my backyard right now I would probably not see them because my brain would tune them out! In their book The Invisible Gorilla Christopher Shabris and Daniel Simmons have investigated our perception. You can test how much you tune out automatically on their website. This helps me to understand why each person in a group of people has a different account of a situation the whole group was in. It shows that perception is always depending on the individual. My daughter was hearing a purring at night without our two cats being near her room. The other day my husband heard it, too which helped my daughter a lot who was thinking that she might have been hallucinating. They both heard something that is not manifest in this reality. Perhaps she will meet this cat later in her life and recognise its purring. Last year when we visited Iceland one of my daughters managed to lose two earphones on two consecutive days. She swore that she put them safely in her backpack. Turns out that I am not the only one in my family who has a close connection to elves. My daughter has another focus of consciousness as a princess in one of the elf fairy tale countries. When we were in West-Iceland, the area where I also met my first elves, somebody recognised her. Two elves accompanied her for the rest of the journey. Since these creatures love to play with strings, marbles and shiny stuff they took the two sets of earphones back to the fairy tale dimension. At home a few weeks later we found one pair of them in her room. The other never reappeared. Ever since this trip elves have inhabited her room, which has mutated into a giant playground for them. Stuff they can play with is lying around everywhere. We found out that they love dripping water when we discovered a wet spot on her floor. The elves had moved a loose panel on our roof so that water could enter through the ceiling when it rained. We told them that water would destroy our wooden floor and that we preferred our home unharmed and fixed the panel. So far no more water has been diverted into her room. We can´t see our live-in elves. Sometimes we hear them rummaging or make out movement in our peripheral vision. Five years ago we probably would not have been able to be aware of any of this. You can read more about elves in Iceland in this blog article. The other day our cat suddenly hissed at something invisible beside my daughter on the sofa. I switched to my energy detection mode and could make out a little shape beside her, probably one of her elves. The cat probably wanted to protect her. I have shared here some of my experiences that show that we disappear stuff regularly and that our perception could be changing. Our senses seem to be letting through more information and thus we are able to perceive more than we used to. This can be both unnerving and exciting. My family is pretty open for these occurrences. We stopped to explain them away and laugh about them. To stay sane when experiencing something unusual we need a firm stand in our reality. We have to be aware and know ourselves as well as possible to stay grounded. Only then we are able to identify safely that something does not belong here without scaring ourselves. Thus we can widen our awareness as we get used to the thinning of the veils between different realities. A great opportunity to learn this is to make a game out of it. We do this in my facebook group The Fairy Tale Dimension where we share our fairy tale moments and possible bleed-throughs from the fairy tale dimension. Humour is a very efficient way to cope with these changes. I don´t take myself and my senses too seriously any more. How our world is changing – without the metaphysical focus of this article – is very well explained in this interview of Charles Eisenstein: a you-tube video about Living the Change. Today´s blog is even more personal than usual: I share how I am trying to help with the illness in the Fairy Tale Dimension (FTD). Then you can read about the similarities I see between the situation in the FTD and what we are creating on earth. In my last blog The Illness in the FTD I introduced the illness. At the moment the colour purple is the predominant frequency in the FTD. The change that has to be completed is from purple to yellow. Every living thing needs this change of the predominant frequency to stay healthy and well. This change of frequency is a normal evolution for this dimension. Everything is affected by the overdue frequency change. The FTD is out of balance. As a result the inhabitants experience suffering and trauma. This is the first time they have a dimension wide problem that can´t be coped with playfulness and starting your life again. This has never happened before and it took the leading magicians, who also work as healers, a long time to figure out the cause for the spreading illness. For people within the FTD death does not end a life. They can choose to live on or choose a new role to play. Death is only final when they decide to leave the dimension altogether. What is happening at the moment in the FTD is similar to what I see on earth. People are becoming aware that there is a problem and this causes anxiety. In the FTD they have to work together all over the vast dimension – it is far bigger than a galaxy in our dimension – otherwise things will become worse. They have never had the need to concern themselves with the frequency change before because there was always a ring bearer who was able to complete it in time. We can compare the illness in the fairy tale dimension very well to our earth struggling for balance after years of exploitation. At the moment we experience violent storms, flooding, draughts and earthquakes. Nobody in his right mind can deny that there is climate change. All of us are feeling it one way or another. The earth will find a new equilibrium eventually and we have the power to decide whether and how humankind will be part of this new earth. I am optimistic that we will master this change. During the last year I was lucky to connect to people of all ages from many countries who are aware. I have met many people who are working at creating and living in an appreciative and positive environment. To achieve this they are learning more about themselves. They work at becoming more conscious about which energy they are projecting and how they are creating their reality as a consequence. In our dimension every individual has to start the change within himself. One of the main goals of my life is to help people find their true selves so that they can create the reality they want to thrive in. I live in the right times it seems. This subject of creating your reality more consciously is becoming more and more popular at the moment. I am going to give a talk about how to become more aware in my meetup group about personal development next week. We are very powerful beings and we are very able to create a positive future for this earth. I feel a wave building including people in my family and in my network that is much bigger than me alone. Some call it a shift in consciousness and some call it evolution. It does not matter. A change is needed and we are this change. In one of my first objective interactions with the fairy tale dimension I was asked by the collective of the FTD to build a closer connection to our dimension. I understood their wish to have more contact but I advised against getting too closely attached. We are already close and become more and more aware of each other. My feeling was that it would be better not to build a solid bridge between the two dimensions. This is why I constructed a loose chain that now links the two dimensions. This chain ensures that not every single movement of one dimension is carried directly to the other. It allows each dimension some room to manoeuver on its own. This has been a good decision because both dimensions are rocking their boats quite fiercely at the moment. The inhabitants of the fairy tale dimension have an intuitive knowing of our dimension. There are a lot of scholars who are studying our dimension. They visit us regularly for what we would term anthropological studies. Perhaps you have even met one of them without realizing it. The FTD has a serious problem. To totally solve the situation they are dependent on one person, the ring bearer. This means that it is my job to complete the blueprint change and to do that I have to be able to master the third rune. There are three levels of mastery I have to complete to achieve my goal. Presently I am between the second and the third level. The third level has three runes. The first two are for practising purposes only. The third one is the living rune that represents the blueprint. The ring bearer becomes one with it and thus can change the blueprint and complete the change. When I am in the FTD I practise with the first two runes. The leader of the Magic Seven, the tree teacher, is helping me a lot. The only thing I can do to help the FTD in my own dimension is to learn how to accept myself as much as possible and reach a level of total acceptance eventually. I do not want to engage the third rune before I am ready because this could be life threatening. There were some ring bearers in the last few hundred years who engaged this rune prematurely and died. Of course I feel the expectation of the FTD and the pressure resulting from this. What happens when I can´t work with the third rune? The FTD would have to wait for the next ring bearer who hopefully would master the rune. This means the suffering will go on. Not a good option. So cross the fingers for me! I have been aware of this illness in the FTD for about a year. When you are following this blog you know that I am constantly learning more about the FTD and how it works. Since I am not yet able to finish the frequency change, I am figuring out ways to help in the meantime using the abilities I have now. Every magician in the FTD is supporting me in this and my group of fellow fairy tale dimension fans helps a lot, too. Last November my group and me visited a fairy tale country that was situated on a rainbow. The landscape looked very unfamiliar. It was changing and undulating. When we arrived the local magician was there to welcome us. He was very old and carried a staff in his right hand. He asked us for help and showed us a yellow flower he had created to fight the illness. We pooled and everybody contributed energy. We managed to reconfigure the rainbow so that it emanated an energy that was close to the yellow energy this fairy tale country was lacking. This alleviated the suffering of beings and plant life a lot. In another fairy tale country we visited mermen. They lived in an ocean with many islands. We shapeshifted into mermen and merwomen and the residents showed us their kingdom. For them we installed translucent spheres that floated in the air above the water. These were giving off the necessary energy to ease the effects of the missing colour yellow. Not every fairy tale country is affected equally strong. With the help of the healers and magicians we are already making a difference. Now you know that totally curing this illness is not possible for me presently. I am very thankful for everybody who is supporting me in easing the suffering. My husband helps with his abilities in energy reading and organizing trips to the FTD. My group of fairy tale dimension fans is also helping a lot. They not only work together with me but they also go to the dimension on their own to help. And we have a lot of fun together while we are at it! You can find us in the facebook group The Fairy Tale Dimension, the FTD. Everybody who feels a connection to the FTD is welcome to join us. Please share this blog with people who are interested. I hope to see you there soon! Addendum: The frequency change in the fairy tale dimension was implemented on February 3rd 2018! In the last blog post I told you that death in the fairytale dimension (FTD) is not as absolute as it is here. People can choose whether to rise from the dead and go on living in the same place and time or not. Death in one fairy tale country is often only a means to start fresh in another one. What happens when people want to disengage from the fairy tale dimension altogether? For this you need the grim reaper. He is personified death. The grim reaper is an integral part of the FTD. His job is built into the blueprint of the dimension. He is the gatekeeper who escorts people out of the dimension into other states of consciousness. His job is really big and very important. He has hundreds of billions of possible clients: Every inhabitant of the FTD. If someone is choosing to die they subconsciously call the grim reaper. He receives the signal and comes and gets them. There are many different manners of disengagement to choose from, but in the FTD people prefer to simply vanish. They rarely create illnesses, accidents or other violent ways to disengage. Interestingly their bodies disappear with them. At the agreed time death appears in one of his disguises and takes them by the hand. With the other hand he opens the exit and escorts his client out of the dimension. Sometimes when he shows up a bit late people have changed their minds and this is where the legend of cheating the grim reaper comes from. In fact people don´t cheat death; they simply change their opinion and choose to stay longer. The grim reaper uses his insignias to perform his duties. They are handed down from one reaper to the next. The first item is the magic key that will open the door out of the dimension. We usually picture this key as a scythe. If you observe it closely however you can see that it does not have any sharp edges. It looks more like a big intricately crafted key with runes on it mounted on a stick. He is the only being who can open the door of the dimension with this key. The famous black hooded cape is the second item. It helps the grim reaper to shapeshift and appear at a multitude of locations. To journey in all parts of the dimension simultaneously he has a specially outfitted room in his house. The room has a round shape and there are lots of mirrors on the walls facing inwards. Death stands in the middle of the room with his cape and key and his image is multiplied hundredfold. He then tunes in to the different calls for disengagement and walks through the mirrors in as many versions of himself as it takes to meet his clients everywhere in the dimension. 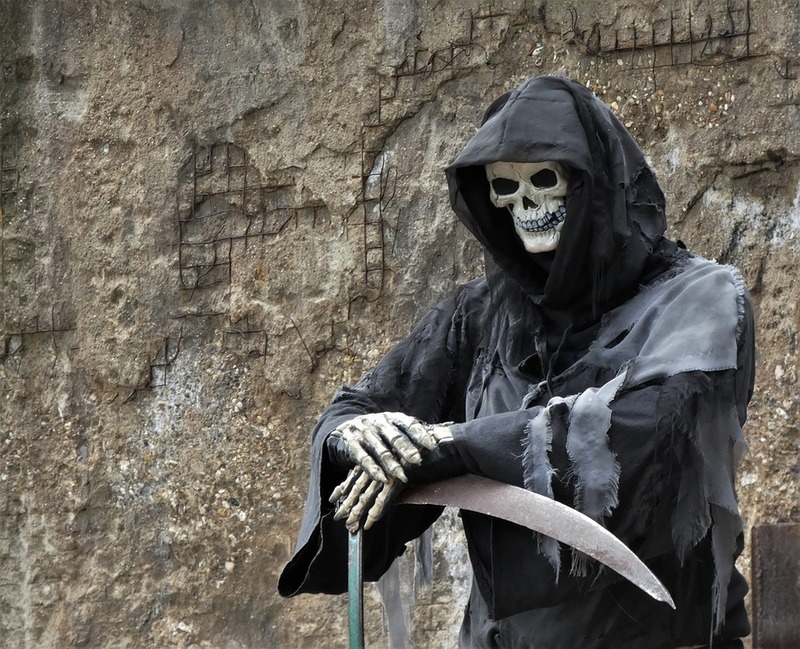 The concept of personified death is part of earth culture, too. Pictures of death as a skeleton with his black cape and scythe are depicted often. In my healing practise I have once worked with a girl who has lost her mother early in life. I was consulted because she was having terrible nightmares. In these nightmares she visualised death as a skeleton with a black cape that was attacking her mother. Thankfully we managed to get rid of this nightmare. But this incident shows that even children personify death in this way. Here is a Wikipedia link on personified death in earth cultures if you are interested the grim reaper. It turns out that death in the FTD is not grim at all but a very friendly humanoid fellow who takes his job quite seriously. I call him Grimmy and he thinks this name is hilarious. When I asked him whether I could visit him with a group of friends he gladly invited us into his home. Being the ring bearer has its perks. This house and its location is one of the best kept secrets of the dimension. Hardly anybody ever gets invited there. Like my home it is built mostly in the shadows. This means it is not easily visible when you walk by. In his home Grimmy feels at ease and can relax from his strenuous job. If you want to know more about the home of the ring bearer follow this link: Home of the Ringbearer. Grimmy and his assistants cooked a wonderful meal for us. We sat around a big table getting to know each other. After the meal there was an impromptu party. The furniture in the dining room was put to the side and somebody played some music. One of my friends literally flirted with death. Both of them had a ball. My friend from Switzerland played a game of cards with Grimmy: A game where the player who cheats best wins. I am not sure who was best. He let some of us even try on his cape and pose in the mirror. Fun. His house was not dark at all but very light. We did a tour and he seemed to favour light wood panels to plain painted walls. There were some interesting art objects on display: I saw a statue of a mother and child and some cheerful paintings with flowers. They reminded me of Monet. He has lived many life times in different fairy tale stories. He was not so much interested in magic but more in social interactions. In these lives he was mostly a craftsman or a farmer. He got interested in the job of the grim reaper when his late wife chose to leave the dimension. He watched when she left on a beautiful horse, slowly vanishing form his sight. He was fascinated and contacted the grim reaper currently in office and interviewed him about the job. Soon afterwards he was accepted as an apprentice. When his predecessor wanted to leave the dimension he performed an elaborate ritual and handed over the insignias and his powers of office to Grimmy. It was very fascinating to meet a person who plays such an important role in the FTD. I enjoyed this visit very much. Grimmy is such an interesting likable fellow and a very considerate host. Should you meet him in your dreams give him my kindest regards. The first time I made contact with somebody from the fairy tale dimension was at the end of 2013. An old lady called me. She said that she had trouble sleeping because something was keeping her up at night. She was living in a small apartment in a home for elderly people. She had tried to get help from shamans and healers but nothing had worked. My automatic reaction was: Yeah. This lady is senile and probably completely nuts! But then I started to think. OK, your energy work may sound similarly strange to the average person. I asked my intuition whether I could help her and got a yes. I decided to follow this impulse and made an appointment. I knew this was going to be very interesting. As you can imagine I was very curious. A few days later, after I had reassured myself that the lady was expecting me, I drove to the other side of town. This was the strangest assignment that I had had as a healer so far. Turns out that this old lady had a very close connection to the fairy tale dimension. At this time I didn´t know much about the FTD. I only knew that there was a dimension where all the fairy tales we knew came from but nothing more. First I energetically cleaned her apartment. While doing this I could feel her being terrified. She confirmed being very much afraid. It was so bad that she was afraid to go to bed at night. The poor woman was so terrified that she got tachycardia. Then I tried to connect to the source of the shaking furniture. I didn´t have the feeling that this would be dangerous in any way. Pretty soon I saw in front of my inner eye pictures of very cheerful green clad dwarf sized people all talking at once. I discovered that the lady once had a life as a princess in a remote place of the fairy tale dimension. There is no fairy tale known about this country. Because she was feeling lonely her subjects came to visit her regularly. They wanted to play with her and shook her bed so hard in the process that she couldn´t sleep any more. I explained to the dwarfs that they were frightening their friend terribly by making such a ruckus every night. They had not realized that they were causing her grief. You have to know that emotions are felt and interpreted very differently in the fairy tale dimension. It is as hard for them to understand our emotions as it is hard for us to interpret theirs. They promised us that they would stop shaking the furniture now. After this I explained to the old lady why these beings decided to visit her and that she had a strong connection to this specific fairy tale country in the FTD. After my visit the green people were still coming to see their friend but they were a lot more careful and she could live with that very well. Now you know the story of my first direct exposure to the FTD. I am still glad I could help and that the lady now gets her sleep. This is still one of the weirdest experiences I have had so far. It definitely widened my perspective. It also shows that our world is even more colourful than you can imagine. Do you have you any stories that you want to share? During the last ten years I have been getting used to strange things happening in my life. 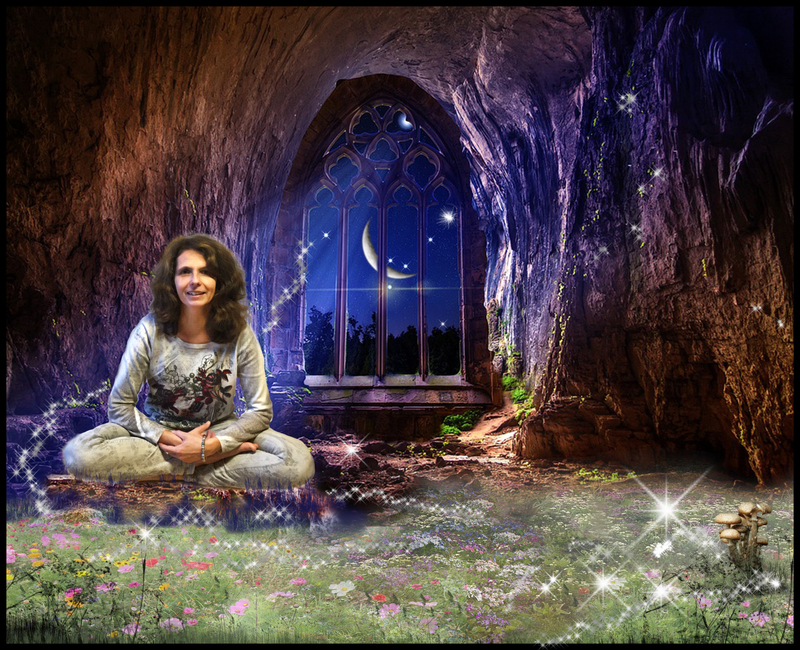 When I started to learn about energy healing a whole new world opened for me that I didn´t know existed before. With my new job in the FTD another new set of subjective experiences is opening up. Elias told me that I go to the FTD regularly in dreamtime. Sadly I don´t recall much of these visits. This blog is one avenue for me to tap into this knowledge and to bring some structure into the information. I am very fond of structure. Recently I had a puzzling encounter with black sand. What this has to do with my home in the fairy tale dimension I share in this post. During the last two weeks I found coarse black sand in our house on different occasions. After the third time I realized that something was off: The sand was definitely not brought in by my children. This certainly got my attention. The sand must have appeared from somewhere and my guess was that it originated in the FTD. I asked my husband who is a very accomplished energy reader to investigate. He and Elias confirmed that the black sand comes from my home in the FTD. Before this I have never given a thought about having a home there. My impressions were mostly about travelling around and getting acquainted with the FTD. It seemed logic that I needed some kind of home base. The sand that I found at home in Hamburg and a friend of mine, who evidently travelled with me one way or another, found in front of his building in New York, was a heavy hint. In now know that the paths between the buildings of my home consist of this sand. The incidents with the sand illustrate very well how we are creating our own reality. To get our attention we appear (or disappear) stuff and make things happen. Yes, we are much more powerful and have much more say in our lives than we give us often credit for. When we are in the now and more aware in our daily life we will find lots of proof of this. We could miss a lot of the fun stuff otherwise. It takes some practise though. I enjoy playful surprises very much and I share my experiences here if there is a connection to the FTD. Since we live in a duality and things are not always positive we also make ourselves aware about stuff that we perceive as negative. For example I see a lot of people in my healing practise who do not pay enough attention to the information provided by their body consciousness yet. For getting used to and practise being more aware I recommend concentrating on playfulness. It makes the learning process easier and more fun: You could explore your connection to the fairy tale dimension in this playful fashion. I picture my home base in the FTD as a conglomerate of medieval buildings about two stories high. There is a round tower in the middle of the compound. 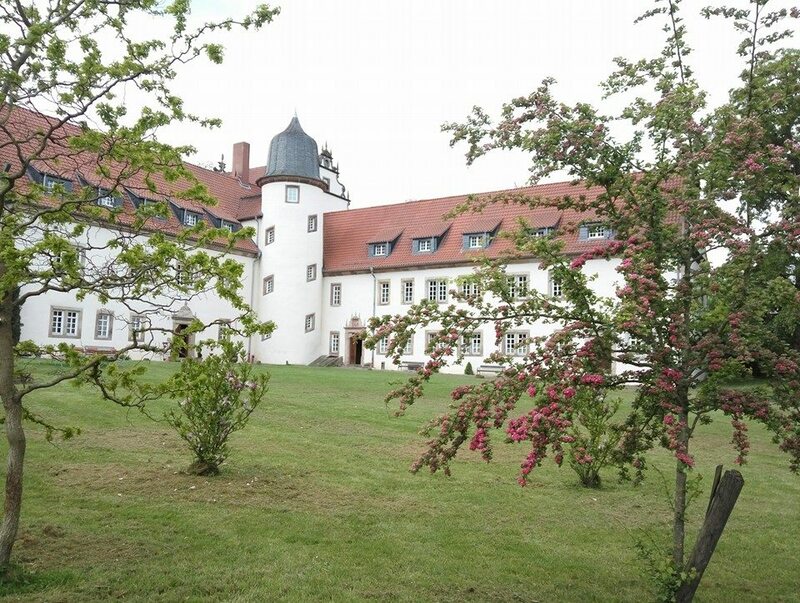 One building in the front looks like a castle and is used only for representative purposes. It has a big hall that looks very impressive. I receive visitors there from all over the dimension. The home of the ring bearer has always been in this spot of the FTD. The respective ring bearers have shaped it after their individual preferences. I feel very much at ease there so this home must also reflect my preferences. I have the feeling that I use this place also as some kind of hub for other dimensions. The head of the contemplative dimension is visiting regularly for example. Since I am one of the creators of this dimension this makes sense. I have to explore further which inhabitants of other dimensions might also be paying regular visits. Do you have any impressions? Normal visitors have only access to the castle. The other buildings look unpretentious and have a warm welcoming vibe. One of these buildings is my personal cottage. In the other buildings there are guest rooms, a kitchen, a small dining hall and quarters for the helpers. One of my favourite rooms is the library. The room is not very big but has a connection to every important library of the dimension. On the grounds you can also find a small arboretum, a kitchen garden and colourful flowerbeds. The paths that connect the buildings are made out of the black sand I found at home. Some people have been living in my home base for years, some just stay for a couple of weeks. To get permission to enter this area people have to pass a thorough screening by the fraternity of the shadows. The fraternity is responsible for keeping my home safe. One could say that this part of my home is actually located “in the shadows”. In fact the buildings other than the castle can be perceived by people who have passed the screening only. As you know by now this is not unusual in the FTD where deception and hiding are the norm. Some info on the shadows: They are sentient and very much alive. When they are not needed i.e. being cast as a shadow they are free to go wherever they want. There are shadows of every kind of being. They shadow the skills of their owners. Some of them also have additional talents. The shadow of a mermaid for example feels much more comfortable out of the water than its owner. There are shadows of magicians and elves, trees, rocks and mermaids. Some of them have special skills that are very useful for the fraternity. A lot of the shadows belong to the fraternity of shadows and thus play an important albeit secret role in the FTD. They have special shadow pathways that enable them to travel swiftly all over the dimension. Since the shadows know everything their owners know, the fraternity gathers lots of information. The headquarters of the fraternity is also on the grounds and is shrouded heavily in veils so only a handful of people know where it is and how to access it. As you might guess it is a great place for exchanging news and gossip. You could call it the FTD´s intelligence agency. Having read this how do picture my home in the FTD? How I became the Ring Bearer. In January 2014 I visited the central library in Hamburg and had a strange experience. When I went into the building at opening time with a big crowd there were three people, two men and a woman, sitting at a table watching me intensely. I felt very much scrutinized. When I went back out an hour later they were still sitting there watching me. I went home and told my husband about this eerie experience. It took me some time to figure out that these three people were ambassadors from the fairy tale dimension. They were magicians from the fairy tale dimension: A butterfly, a snake and a badger who had adjusted their energy to fit into our dimension. They fit so well that no one noticed them as visitors. Only my odd feeling was an indicator that something was very different about them. The reason they were watching me so intensely was that they wanted to meet the new designated link between the two dimensions; the ring bearer: When a healer in this dimension with the potential to be the new ring bearer is making himself known the key figures notice. On some level I was not aware I had agreed to take this job. Of course they want take a look at this person. They brought the energy of the ring with them. This energy is written into both the blueprints of our dimension and of the Fairy Tale Dimension (FTD). For me noticing them was the start to the very interesting adventure I am sharing in this blog. Elias is not living in this dimension at the moment and is able to read energy very well. I use his expertise to validate subjective information like the ones I am accumulating about the FTD. There is no reference book you could use for that purpose for the FTD or any other dimension. It also helps that people who are interested in the FTD, like you dear readers, tap into the information and share their dreams and findings. We all have an instinctive knowing about the FTD that makes all of us experts. The ring bearer is alternately coming from our dimension and the FTD and the way the ring bearer is chosen, is that he or she starts to display certain energy qualities strongly. In our dimension these are healing qualities and a certain “leader” energy. In the fairy tale dimension advanced magic qualities and also a “leader” quality are needed. The energy that is mostly configured into a ring in our dimension and is always a ring in the Fairy Tale Dimension makes it possible for the designated bearer of that ring to travel to the other dimension easily. Once the current ring bearer in the FTD dies the secret fraternity of the shadows will take the ring energy and will keep it safe until the next ring bearer is rising in our dimension. The fraternity of the shadows uses runes and magic that is quite powerful. This is very useful since many beings have tried to steal the ring and use the energy for their own goals. In our dimension another secret fraternity is located in a kind of sub-dimension. After the current ring bearer from our dimension dies they come and get the energy and will keep it safe in this sub-dimension. They recognize when a magician is maturing in the Fairy Tale Dimension who has the required qualities to become the next ring bearer. Once this magician has reached a certain level of expertise, they travel into the Fairy Tale Dimension and bring the ring energy to this magician. In the Fairy Tale Dimension the energy will morph into the ring of the FTD. The ring of the FTD is broad in the middle and there is some kind of blue material on both sides. It is framed with a silver material. On the blue material very powerful runes are visible that change continuously. The ring has another form in our dimension. The form depends on the ring bearer and contrary to the FTD the ring bearer can access the ring energy here without wearing the ring. In our dimension the ring bearer is not known and lives anonymously. I am glad because I am not keen on becoming as prominent as I am in the FTD: In the FTD the ring bearer is a celebrity. His power is widely acknowledged and he is seen as an important authority. I am still in the process of getting used to this celebrity status. In both dimensions the inhabitants are not aware of the fraternities that protect the ring energy. A pair of boots that has wings on each boot that enable the bearer to move swiftly around (much like the greek god Hermes). With these boots you can take short cuts nobody else can take. A cape that has the power to make the bearer invisible (remember Harry Potter?). It also protects the user from all kinds of bad magic and keeps him safe. The cape is fastened by a big fibula. This is the third magic object and it can create a very strong light. Nothing can hide from this light. Things and beings have to become visible as they truly are. This is very important because in the FTD so many things are not what they seem to be. Deception is an art form and quite normal. The light of the fibula can also be used to overcome every kind of darkness. Now you read the story of how I became aware of my connection to the Fairy Tale Dimension. I told you how I received the ring energy and became the ring bearer. You don´t have to take this story literally, it is true nonetheless. In the next article I will tell you more about my duties in the fairy tale dimension. In this facebook live video I tell the story how I became the ring bearer in much greater detail.